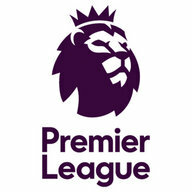 Premier League – The tale of the table so far! As always there is never a dull moment in any given year's premier league season. If you ever thought otherwise you just need to switch on the news and see Jose Mourinho moaning about how the Manchester City team celebrated far too enthusiastically following their recent narrow win, in the Manchester derby at Old Trafford. The 'handbags at dawn' style dressing room bustup involved someone throwing milk at the Manchester United manager, and Manchester City coach Mikel Arteta ending up with a cut to the head. I'd have loved to have been a fly on that wall! It's hard to fault City for celebrating though, as this win (their 14th in a row and a new premier league record) has seen them edge ever closer to securing the league title, even though we're not yet half way through the season. All of the football predictions markets have them as a heavy favourite for the title already ( 1/20 with most bookmakers!) . It's hard to argue with that assessment to be honest considering they now have a very healthy 11 point lead over their nearest rival at 18-1 to win the league, Manchester United (yes, the team they just beat). The upcoming Tottenham game aside, they have some fairly easy fixtures in the pipeline too, so that should bode well for them. From the heady heights or pole position, we head towards the bottom end of the table. The drama there has very much revolved around Crystal Palace. To say that they've got off to a bad start this season would be something of an understatement. They too have achieved a record in the Premier League this year, sadly their record involved not scoring a single goal for the longest period of time in the league's history, a staggering 731 goals. That's over two months of premier league games. They've been on a bit of a better run of late though, with a few draws and a win or two to their name. They had a real chance to put three points on the board in their recent game against Bournemouth but missed a late penalty. However, they stayed focused and managed to win their latest game against Watford and so are 'finally' out of the relegation zone. It's very bunched up at the bottom of the table right now, with Swansea currently at the foot of the table on 12 points and odds-on to be relegated, with some tricky fixtures ahead. Stay tuned for another season update in due course! 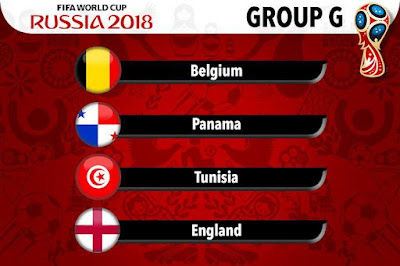 Who's in England's 2018 World Cup Group? Some would say that England were rather fortunate with their 2018 Russia World Cup group, but never underestimate our ability to blow it! The match order is also rather favourable in that we have the most difficult game last, again Beluin, who were unbeaten in qualifying. If we do manage to play to anywhere near our full potential we should already have two wins under our belt at that stage (First Tunisia, then Panama). It's hard to look beyond Belgium and England emerging from the group.